Let The Norwegian Escape Build Up Begin! Cruise News Norwegian Cruise Line Let The Norwegian Escape Build Up Begin! New news regarding the Norwegian Escape has been fairly silent over the past couple of months but now with a new video released by Norwegian Cruise Line the build up is beginning. 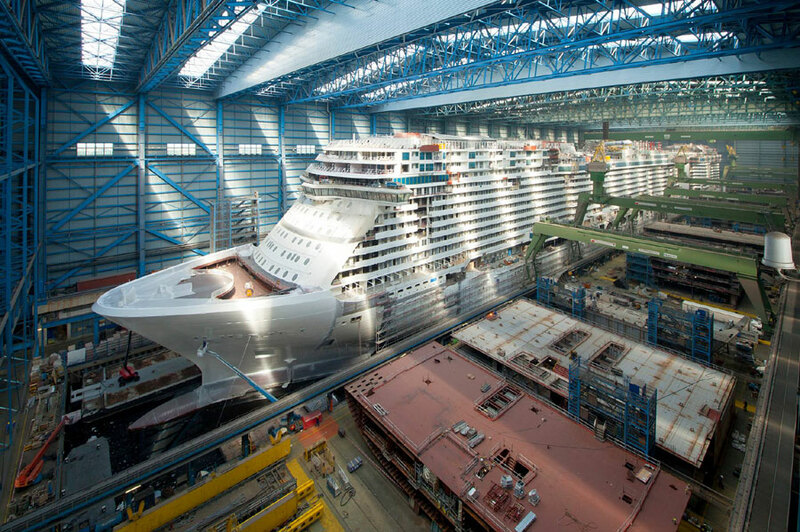 You might not realise but once the Norwegian Escape is completed this year it will become the world’s third largest cruise ship with only Royal Caribbean’s Oasis and Quantum classes beating it. The ship is currently under construction at the Meyer Werft shipyard in Papenburg, Germany and will also become Norwegian Cruise Line’s largest ever ship at 164,600 gross tons. The ship will be able to carry 4,200 guests which is more than other vessel in the fleet. The Norwegian Escape will be full of onboard features including industry firsts like Margaritaville At Sea and the Snow Room. The vessel will also boast the world’s largest Aqua Park and Ropes Course at sea not to mention all the entertainment offerings and branded dining venues. We’ve seen some impressive new cruise ships in 2015 but once the Norwegian Escape debuts in October it could top them all. Those in North America will be among the first to experience the new mega ship when it begins sailing from Miami, Florida on November 14th. The ship will sail weekly cruises to the Eastern Caribbean all year round including calls at St. Thomas, U.S. Virgin Islands; Tortola, British Virgin Islands and Nassau, Bahamas.